What is the relationship between philosophy, particularly of the analytic type, and theology? A recent book, Analytic Theology, seeks, in part, to answer that question. As I read it I became more convinced that the purpose for an analytic theologian (one who uses the skills of analytic philosophy in the development of Christian theology) is to be of service to the church. It is therefore under the authority of scripture even while it uses reason to achieve the goal of a clear articulation of the content of the teachings of the church. An analytic theologian, indeed the Christian philosopher in general, is a servant to the Systematician. There are three reasons for this. First, the bible exhorts all Christians to be servants and to be motivated by service (Matt 20:20-28; Phil 2:1-11). Second, other esteemed Christian philosophers think that we should be servants. As Plantinga reminds us “Christian philosophers... are the philosophers of the Christian community; and it is part of their task as Christian philosophers to serve the Christian community.” (Advice to Christian philosophers). Finally, this also assumes a right place for reason. As Crisp, one of the editors of Analytic Theology, suggests, reason is an instrument to be used for a purpose. It is also used by people who have hearts and are motivated by commitments. 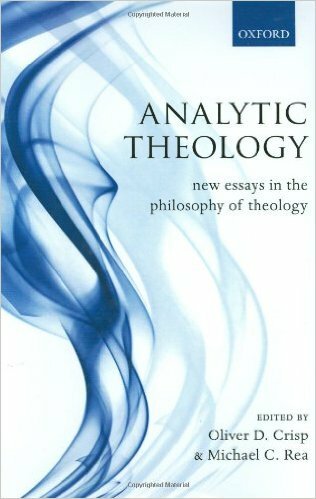 Crisp's contention that analytic theology would not necessarily become a “rationalistic programme that attempts to domesticate theology, by annexing it to philosophy” (p. 41), requires not a regulation, some imposing hierarchy, but a heart led by its desire to serve. In other words, analytic theologians are to be, as Plantinga suggests, autonomous from secular philosophers in the sense that they serve a different master, purpose and motivation. Philosophically speaking, we follow Augustine's model of faith seeking understanding both in our presuppositions and our priorities in philosophy. Crisp says analytic theology “need not rewrite theology according to some prior agenda or programme. It is in fact one way in which a faith seeking understanding approach to theology might be held.” (p. 43).